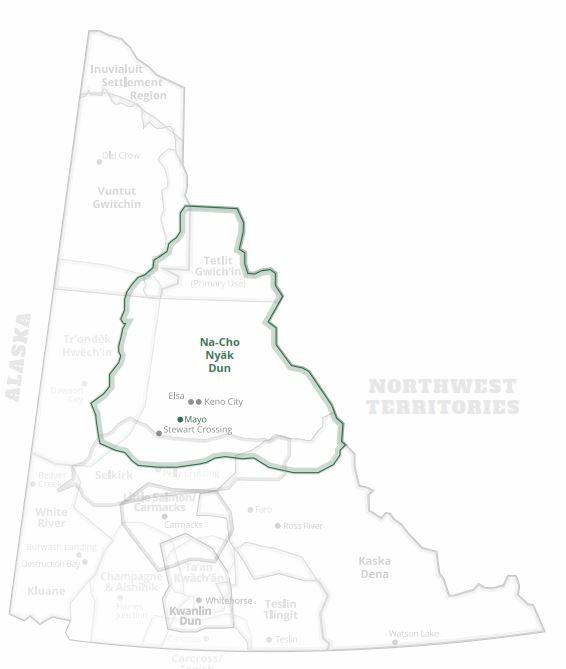 The First Nation of Nacho Nyak Dun represents the most northerly community of the Northern Tutchone language and culture group. 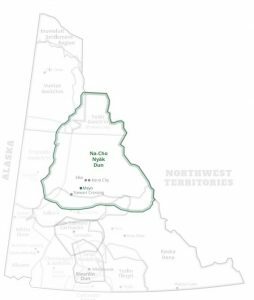 The NND First Nation resides in the community of Mayo, Yukon, a town that had its beginnings during the boom years of the various silver mines in the area. Mayo was serviced by stern-wheeler boats until the Klondike Highway/Silver Trail was built in the 1950’s. The Nacho Nyak Dun has a number of members who claim Gwichin ancestry from the north and Dene ancestry from the east as well as their Northern Tutchone ancestry. The Nacho Nyak Dun are closely affiliated with the adjoining Northern Tutchone First Nations of Selkirk at Pelly Crossing and the Little Salmon Carmacks First Nation at Carmacks. The three First Nations form the Northern Tutchone Tribal Council, an organization which deals with matters and issues that affect them by sharing their vision and resources. The First Nation has been very active in the Land Claims movement since its beginnings in 1973. Members of the Nacho Nyak Dun First Nation were instrumental in helping to guide the Council of Yukon First Nations and its member First Nations during the critical times ending in the 1984 breakdown of negotiations and rejection of the agreements. Two of the crucial issues were the absence of self-government and the extinguishment of aboriginal rights. These two important elements, self-government and the retention of aboriginal rights on settlement lands, were eventually included in the 1993 agreements. The NND today has a membership of 435. As a self-governing First Nation, the Nacho Nyak Dun has the ability to make laws on behalf of their citizens and their lands. Under the land claims agreement, the First Nation now owns 1830 square miles of settlement lands and will receive $14,554.654.00 over 15 years. The First Nation has been actively involved in affairs of the Mayo community, attempting to promote a better, healthier lifestyle for its future generations and a strong economy based on its rich natural resources.